We have been busy improving syncing services and our bookmarks manager in the last few weeks. Syncing in Opera developer 27 for computers should now work well. But, we are not the only ones who have been busy. 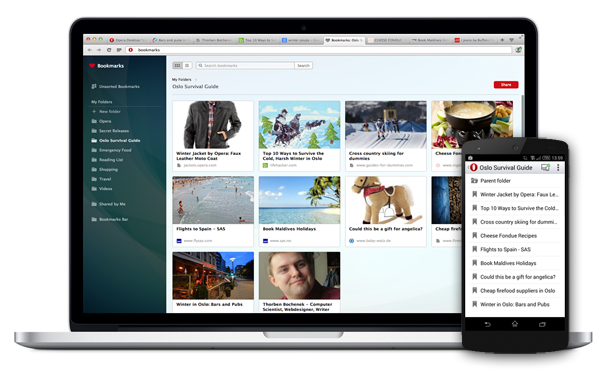 The Opera for Android browser also released a new beta version that includes syncing! If you install Opera browser beta for Android mobile and Opera developer 27 on your computer, you can see cross-device syncing in action for the first time. Go ahead! Make some bookmarks on your computer and see them appear on your Android phone. 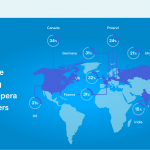 Sign into your Opera account on two Opera for computer browsers. Open some tabs in one of them. 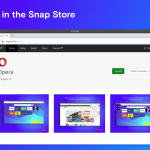 In the other, go to Opera > Recent Tabs (on Windows or Linux Gnome) or History > Other Devices (on Mac or Linux Unity) and enjoy tab synchronization. We listened carefully to the feedback you gave us about the bookmark manager. We are always working to improve the feature and some of your suggestions already made it into this release. 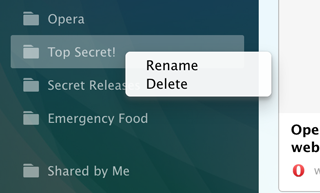 Now, when you right-click on a sidebar item, a context menu gives you the option to rename or delete top-level folders. As always, there are more fixes and improvements to come.